This sign is for A and P Parking. The sign’s colors are red, white, and black. 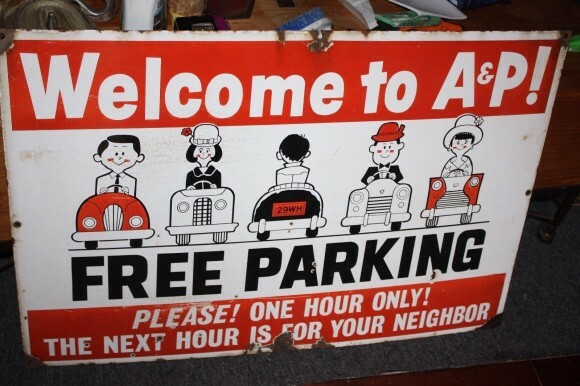 The text on the sign reads: Welcome to A & P Free Parking, Please! One Hour Only! The Next Hour is For Your Neighbor. The sign shows several cars with people in them surrounded by text.